A harder choice of tyres may give drivers more of a chance to push in races, according to Pirelli F1 chief Mario Isola. Pirelli may opt for a more conservative Formula 1 tyre selection in 2019 that lead to more one-stop races, in order allow drivers to push more on-track instead of focusing on tyre saving. 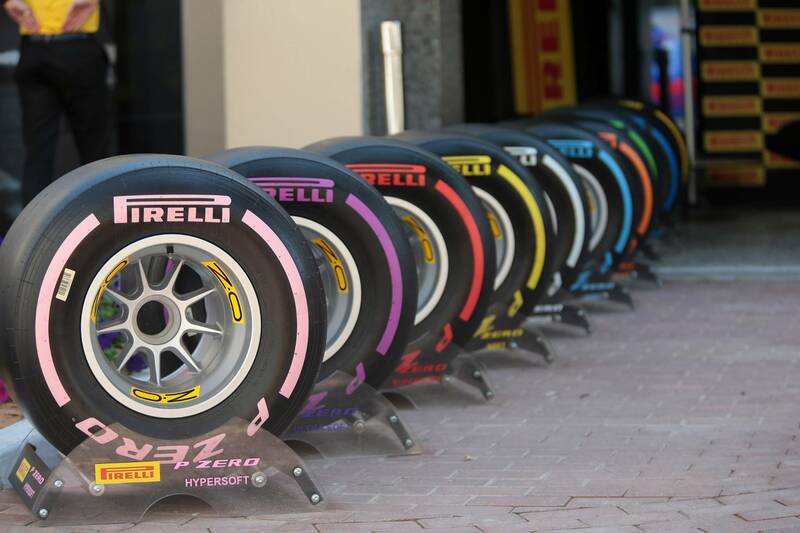 Teams sampled Pirelli’s full range of 2019 tyres in the post-season test in Abu Dhabi last week, with the Italian tyre supplier set to finalise their compounds for March's season-opening Australian Grand Prix later this week. While teams will still have a choice of three compounds to use at races next year, Pirelli may make a harder selection than in 2018 in order to give drivers more of a chance to push in races instead of focusing on tyre saving, even if it results in more one-stop strategies. “I want to involve drivers and the teams in the selection, because it is not clear what we have to do for next year, if we have to go a bit more conservative,” Pirelli F1 tyre chief Mario Isola said. “We have seen this year most of the races with one stop. We went softer and softer. and teams were managing the pace more and more. So is it good that we continue with this approach, or we just accept that we have one-stop races, but maybe we go one step harder and drivers can push? Isola said the additional changes to the technical regulations for the 2019 season – including a revised aerodynamic package and an increased fuel allowance – also made Pirelli lean towards a more conservative tyre selection for races next year. “Next year we will have a new aero package. It’s not clear if it is making a big difference or not, we’re just collecting the feedback,” Isola said. “They will have more fuel, 5 kg, that means they can manage fuel a little bit. We know that in some races they had to manage the fuel as it was not enough to finish the race. “So we have to consider all of the package. With more fuel, they can push more, and at this point, it’s probably better to give them more consistent tyres and they push and fight on-track instead of overcut, undercut and trying to make tricks during the pit stop. Pirelli will make its selection from a range of five compounds – running from C1 to C5 – for 2019, with a Hard, Medium and Soft tyre being designated for each grand prix. The compounds for 2019 will converge in terms of life compared to the 2018 tyres, with the Hard (C1) and Medium (C2) compounds from this year set to be softer next year. The Hypersoft (C5) and Ultrasoft (C4) tyres will both be slightly harder than in 2018, with the Soft (C3) compound remaining unchanged. The Supersoft will essentially disappear from the range.